Dror Burstein was born in 1970 in Netanya, Israel, and lives in Tel Aviv. He first became a fully qualified lawyer, then he left the legal field and started studying literature. 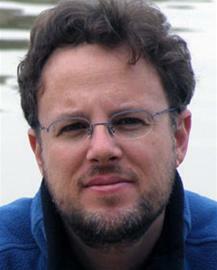 He received a PhD in Hebrew literature from the Hebrew University of Jerusalem in 2002 and now teaches there. A writer, a poet, a literary editor, Burstein translates poetry from English to Hebrew and has also edited classical music radio programs for Israeli Broadcast Authority. Since 2011 he is editor of the poetry journal Helikon. Burstein has been awarded the Ministry of Culture Prize for Poetry (2002), the Bernstein Prize for his debut novel, Avner Brenner (2005), the Prime Minister's Prize (2006, 2017) and the Goldberg Prize for his novel Sun's Sister (2014).